The running community is amazing. From elite athletes to first time 5k runners the support and enthusiasm is tangible everywhere. While there are running events all year long, spring and fall are home to most of them. Every weekend from March to November is packed with some kind of race. After participating in a few, it’s nice to give back and help other runners have the great experiences you do. Here are four of Team ECRP‘s favorite ways to give back to your local running community. Volunteer – If incredible people stopped volunteering for running events, 95% of participants would be priced out and thousands of events would be canceled. With a multitude of places to pitch in there’s sure to be a spot for you. Consider a water stop, handing out medals or directing traffic. Can’t make it on race day? Help with packet pick-up or pre-race course set-up. Organize – Put together your own race. You’ll need some of the valuable volunteers mentioned above but if a cause is near and dear to you, support it! Putting together an event can also be a great opportunity to meet others in your area. Between sponsors, volunteers, t-shirt printers, timing crews and participants organizing a race will bring you into contact with tons of people who love running. Who knows? You might even find your next chance to give back. Cheer – Happen to crash into a race during your long run or while exploring a new city? Stop and cheer for a few minutes. Spectators are the backbone of the running community and some people pick races based on how many will be out there. It won’t cost you a thing and you might just be the one encouraging word that helps a someone hit a new PR. Coach – There are lots of organizations that need volunteer coaches. From your local track club to the national Girls on the Run there’s nothing more rewarding than helping children find something they love. Even if one of the kids you work with isn’t the next Usain Bolt, the rewards you’ll reap are great. What are your favorite ways to give back some of what the running community gives you? 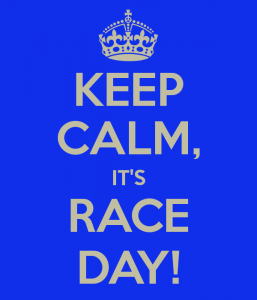 This entry was posted in Racing, Running and tagged coaching, race day, racing, running, running community, volunteering on April 9, 2018 by Coach Meredith. Taper week, or weeks, can be challenging. You’ll feel stir crazy without your normal work load. Your legs will feel weak, maybe even jelly like. You’ll be exercising and eating less to maintain your ideal race weight. The taper crazies are a marathon staple and while they’re almost unavoidable, you can use these tips from Team ECRP to keep them at bay the best you can. Get intense. Running fast is fun. Speed work should always be a part of your training plan and the week before your goal race is time to ramp it up. You’ll decrease your overall training load but more workouts will include serious speed and intensity. That means more fun. Stay calm. It sounds silly but staying relaxed during the days leading up to your race is very important. You want to keep sleep quality high, stress low and your diet the same. Develop a flexible plan for race day that accounts for potential weather, parking and clothing mishaps. The more prepared you are the less likely you are to let something get in the way of your performance. Trust the plan. You’ve put in the work. By the time taper week comes around any workout you do won’t give you major gains anyway. While that increased intensity will help get your nervous system in order, it can take up to six weeks for other workouts to have measurable benefits. Believe in the work you’ve done. Find an alternative. With all the extra taper week non-workout time you’ll have, grab that book you’ve been looking at longingly for the last 10-15 weeks. Binge watch that show you’ve been hearing about (we might recommend Game of Thrones). The two most important things during taper week, however, are to keep focused on your goal and trust your training. This entry was posted in Goal Setting, Racing, Running and tagged marathon training, race day, racing, running, tapering on September 12, 2017 by Coach Meredith. We’ve all had bad workouts. We’ve all wanted to walk away before finishing workouts. A lot of times, however, our competitive and training focused natures won’t let us. Luckily, there are definitely times when we should quit a workout. And there are times we should push through. These are some basic guidelines from Team ECRP you can use when things aren’t going you way to decide what to do. You’re hurt. Even if it’s only a twinge, calling it quits on a workout isn’t the end of the world. It’s much better to be cautious then run yourself into a serious injury. Listening to your body can be hard but it’s something you have to do. If something feels funky or your gait is off, walk away and figure out what’s wrong before you come back. It’s dangerous. Did it start down pouring a few minutes into your trail run? Is there a pop-up thunderstorm just overhead? Is the sun going down in a strange neighborhood? Are the heat and humidity oppressive? Any of these can be a solid reason to quit a workout. Finding a treadmill or waiting until later is always a better answer than injury. You don’t need it. Maybe you’re bumping up your mileage this week or taking a recovery run instead of a swim. It’s OK to quit a workout when it isn’t a super important one. If you can easily sub another type of session to get the stimulus you were looking for on that day, go for it. It’s hard. That’s how we get faster and stronger. If we never pushed ourselves to perform a a higher level, we’d never get any better. Finishing a challenging workout is its own reward, and helps us hit that next PR, if we can do so safely and injury free. You’re tired. There are lots of things that can cause us to lose sleep. Working out can help relieve stress and release endorphins that improve mood. Staying awake for 24 straight hours just to get a workout in is definitely not the answer but even a quick jog can shake off the cobwebs and put a smile on your face. It’s also good practice for race day. You never know who might be partying in the hotel room next door. The weather’s bad. Bad weather and dangerous weather are different. If you quit a workout because it’s cold or raining, how does that help you? Conditions on race day are mostly unpredictable. To prepare for the unknown, train in every environment you can. Learn how to handle wind, rain, snow, heat and humidity. Use these guidelines to loosely determine if you should quit a workout while you’re ahead or power through like the champ you want to be. 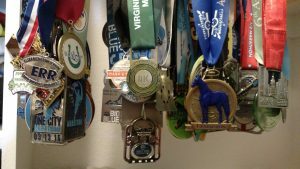 This entry was posted in Mental Toughness, Racing, Running and tagged marathon training, race day, running, training on July 10, 2017 by Coach Meredith. We all want every one to be our best race. Unfortunately, that doesn’t happen for most of us. Bad races happen. Sometimes we’re running a training race just for fun and other times our day goes completely off course leading to results we’re not happy with. No matter which one your event is, here are some of Team ECRP‘s favorite ways to make any one your best race yet. Practice. Replicate every part of race day you can before hand. Get up and eat like you’ll have to that morning. Test out different nutrition strategies for during the race on your long training runs. Then practice messing it all up. Run in any kind of weather you can while making sure none of those winter layers chafe. Race day is unpredictable and the more prepared you are for the unknowns the closer you’ll be to having your best race yet. Focus on you. You’re trying to run your best race. Not another runner’s. Don’t worry about how fast the people around you go out or what they’re going to do later on. You’re only in control of your own performance. Pushing too hard early will cost a lot towards the end. Stick to the plan you made during training and the rest will fall into place. Have fun. 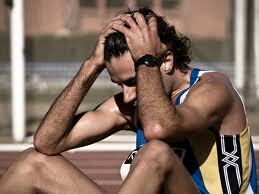 Getting tense or stressed out in the middle of a race is a sure fire way to perform poorly. We run because it’s fun. Let’s keep it that way. Stay loose, smile at the water stop volunteers and say ‘thank you’ to the course marshals. It’ll keep you happy, positive and well on your way to a wonderful finish. Use these tips and you’ll be a few steps closer to having your best race day yet. This entry was posted in Mental Toughness, Racing, Running and tagged race day, racing, running on November 14, 2016 by Coach Meredith. Vent: Be angry. Be sad. Be mad. Feel all of the feelings. Let it all out so you can move forward. It might take one beer or four days but failing to move on will impede your next training cycle by lowering your confidence and sucking up your motivation. Your pre-race ritual: While you can’t go back and change anything that happened during the race, you can change what happens before. Did you eat right the nights before? Were you sleeping enough? Was your taper adequate? Did your travel plans give you time to adjust to the altitude and time difference or recover from flying? Each of these factors can change your body’s ability to perform at its best. The Weather: There’s only so much anyone can do about weather. Which is a whole lot of nothing. High winds, freezing temperatures, loads of humidity and heat waves can all have a major impact on your performance. Sometimes a bad race isn’t all your fault and remember, everyone else out there had to deal with it, too. Your goal: Was your goal really reasonable? 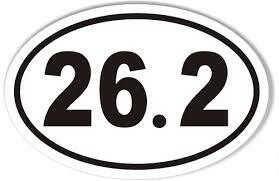 Aiming to shave 30 minutes off a marathon over one season is noble but probably not attainable. Your training: How did your training go? Did it include enough speed work? How about a long enough base phase? Did you train for the terrain you would be racing on? Take a good hard look at your journal while examining what workouts were good and which ones weren’t. Most importantly, make sure you weren’t overtraining or pushing through an injury. Move on: At the end of the day, OK, it was a bad race. 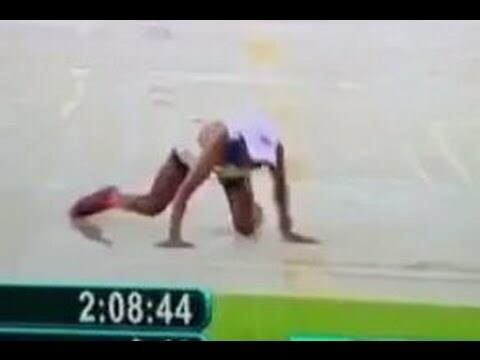 Was it the worst race ever in the whole world? Probably not. Look at all the things you learned! Focus on positive parts of the event, make sure you’re emotionally ready then sign up for another. This entry was posted in Goal Setting, Racing, Running and tagged goal setting, half marathon, marathon, race day, racing, running on September 12, 2016 by Coach Meredith.